A common misconception of many is that an employer in New Jersey cannot enforce a non-compete agreement that an employee executed in consideration of their employment. Although many employers may not seek to enforce a non-compete agreement due to the cost and business necessity of initiating such litigation, courts do in fact enforce non-compete agreements if the employer can meet the requisite legal standards. Non-compete agreements are executed in two typical situations – employment and the sale of a business. In New Jersey, courts are less motivated to enforce non-compete agreements incidental to one’s employment than they are to enforce a non-compete agreement incidental to the sale of one’s business. The reason is because New Jersey has a strong public policy to afford an individual the right to work and pursue a livelihood. Whether the non-compete agreement was executed as part of one’s employment or the sale of business, New Jersey courts will analyze the reasonableness of the non-compete restriction in determining whether it should or should not be enforceable. For a non-compete agreement to be enforceable, New Jersey courts require that the non-compete agreement (1) protects the legitimate interests of the employer; (2) does not impose an undue hardship on the employee; and (3) is not injurious to the public. There is no legitimate interest in an employer preventing competition. However, an employer does have a legitimate interest in protecting trade secrets, confidential information and customer relationships. This means that if an employer employs an employee to develop customer relationships, that employer may seek to restrain the employer from leaving and soliciting the same customer relationships that were developed on the employer’s dime by requiring the employee to execute a non-compete agreement. New Jersey courts have found such a restriction reasonable and worthy of protection. 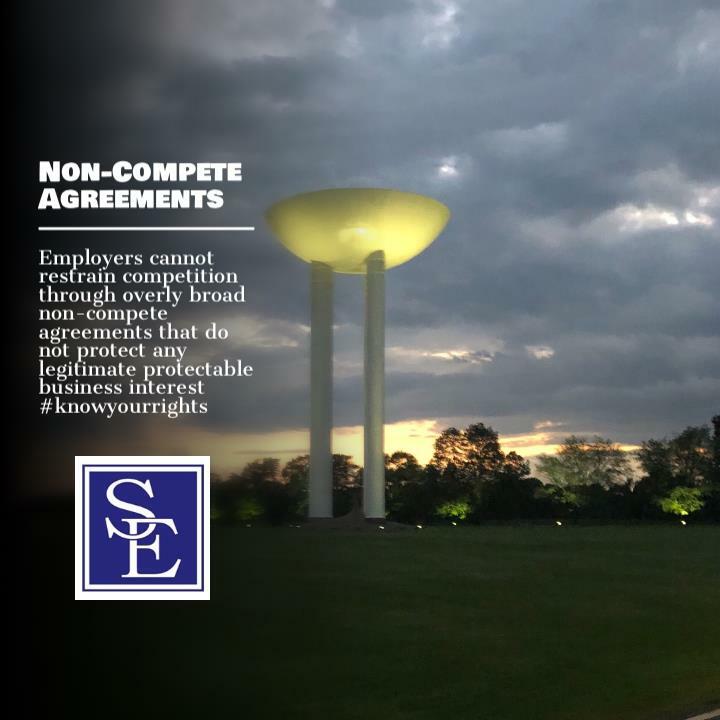 A non-compete agreement will not impose an undue hardship on an employee if the non-compete agreement is reasonable in geographic area, subject matter and duration. Courts will also be less likely to find an undue hardship on the employee if the employee quits their job as opposed to the employer terminating the employee. This factor is not determinative to the ultimate decision whether to enforce the non-compete agreement, but it is very relevant. The final prong of the test is whether enforcement of the non-compete agreement would be injurious to the public. This involves a fact-intensive inquiry into aspects such as the effect that enforcement would have on the availability of goods or services in the employer’s industry and corporate investments in long-term research and development programs. A non-compete agreement ancillary to the sale of a business is afforded far more latitude” than restrictive covenants ancillary to an employment contract. For example, a seller sells a barber shop to a buyer, and as part of the sale, the buyer requires the seller to execute a non-competition agreement that prohibits the seller from working as a barber in a ten-mile radius for five years. Because the seller would be purchasing the good-will associated with the barbershop, including its customer base, a court would likely enforce the non-compete agreement prohibiting the seller from opening a new barbershop a block away. If the seller was allowed to profit from the sale of his or her business and thereafter re-opened a new competing business within the competitive area, the buyer would lose the good-will associated with the purchase and the essence of the transaction would be destroyed. Every non-compete agreement is different and requires a skilled New Jersey employment attorney to review and analyze the terms in order to determine whether the restriction is enforceable or non-enforceable. If you have a non-compete agreement and would like an attorney to review and provide you advice and counsel regarding the likelihood that it would be enforceable, please contact one of our New Jersey employment attorneys to schedule a consultation.